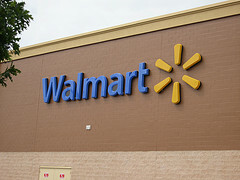 UPDATE: Consumerist spoke over the phone with a Walmart spokeswoman who says that after taking a step back and taking another look at the situation, the company has offered the worker his job back. The company does have a safety policy, she adds, but that there’s some room for interpretation. “While we understand [the employee’s] intentions were good, at the time we believed there were some additional safety concerns,” the company said in an additional emailed statement it provided. “That being said, we have offered him his job back and welcome him back to the store. “The last thing I expected was to not have a job,” the 30-year-old told WXYZ-TV in Detroit of the incident. The man worked stocking pet food on the overnight shift and was taking his lunch break in his car around 2:30 a.m. when he says he heard a woman screaming with a man on the hood of her car. According to the worker, Walmart has policies that cover workplace violence between employees and against tackling shoplifters, but he can’t find any reason that he shouldn’t have helped someone in danger. Despite not knowing whether he’ll get another job, he said he’d do it again. “I will always do the right thing,” the worker said. Consumerist reached out to Walmart to see what the company has to say about the termination; we’ll let you know if we hear anything back.